5 Bedroom Semi Detached House For Sale in London for Asking Price £1,300,000. This gorgeous semi-detached Victorian house has off street parking at the front for a couple of cars and a large west facing 70 ft garden at the rear. Measuring nearly 2,500 sq ft, this stunning property has been extended on the ground floor to create a wonderful open plan kitchen with granite worktops, a barista bar area with a double wine fridge and a large walk in pantry. One of the living rooms, nestled just off it, is perfect for a relaxed family room. 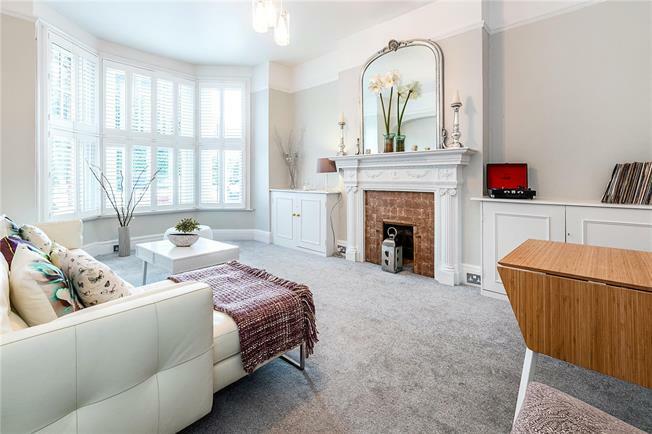 The other grand living room has an incredible bay window, nearly stretching from floor to ceiling, and a stunning original Victorian fireplace with intricate detailing. Upstairs there are five double bedrooms with a choice for the master. There is either the larger front bedroom, or the one at the back which has the benefit of not only an en suite, but also has french doors and a Juliet balcony from which you can enjoy the lovely views over the garden. The house is situated within the Telford Park Conservation Area, a wonderful collection of beautiful streets that has the Telford Park tennis club at it’s centre. Streatham Hill train station (17 mins into London Victoria) is just a third of a mile away, whilst Balham station (Northern Line and National Rail) is under a mile in the other direction. There is also a great collection of primary schools (both private and state) in close proximity to the house.